Unveiled at this month’s Interbike Show, Elite has launched its new Volana bike trainer. The Volano is a direct drive trainer, which means, once a cassette has been installed, the bike mounts directly to the trainer itself. 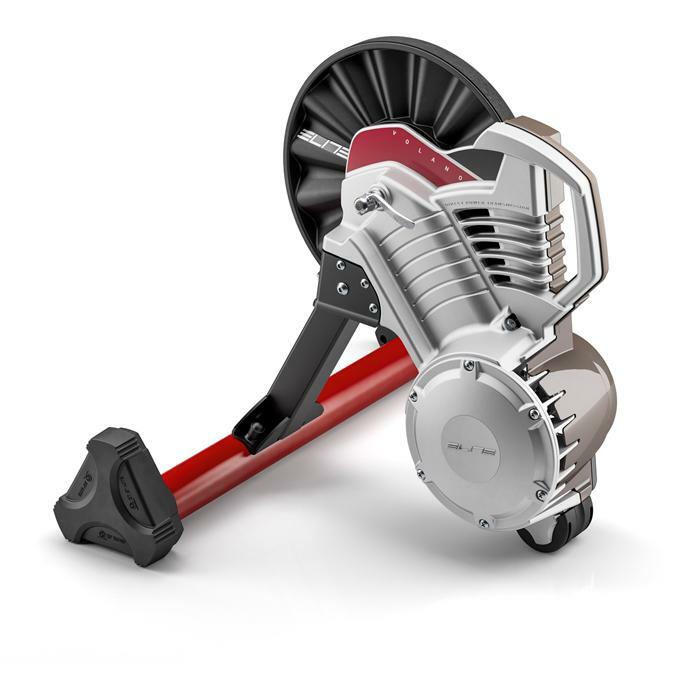 According to Elite, the Volano’s fluid drive unit can provide up to 1200 watts of resistance, which adjusts automatically to one’s pedaling force. The Volano is compatible with Shimano and SRAM 1, 10 and 11-speed cassettes, and with the appropriate adapter, can accommodate Campagnolo as well. Furthermore, Elite says the Volano is compatible with all current rear axle widths, including 130, 135 and 142x12mm. In addition, Elite offers the optional Misuro B+ Bluetooth and ANT+ sensor, which plugs into the bottom of the trainer, gaining speed and cadence data via a compatible device or smart phone. Cyclists in the USA can expect to see the Volano retail for around $500.00.